Boom, B.J, Huang, X, He, J, & Fisher, R.B. (2012). 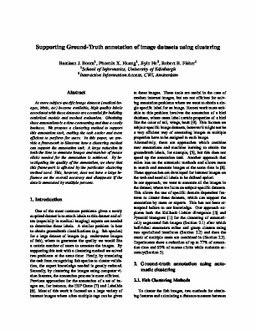 Supporting Ground-Truth annotation of image datasets using clustering. In Proceedings of Conference of the International Association for Pattern Recognition 2012. IEEE.